Many people associate blockchain with cryptocurrency transactions, such as bitcoins. However, cryptocurrencies are just the tip of the iceberg when it comes to this technology. 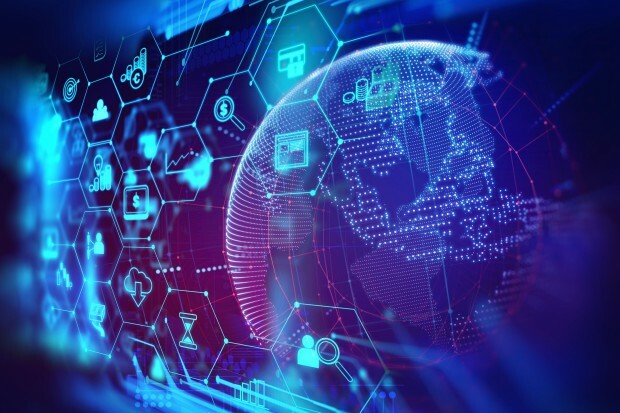 Even though blockchain was initially considered primarily from the perspective of financial services, this technology can serve as the basis for many useful applications of information management, going far beyond monetary transactions. Due to its ability to reduce administrative costs, decentralize documentation, increase transparency and prevent fraud, blockchain is on its way to becoming a starting point in a real revolution in international trade and global supply chains. At the end of November 2018 the European Parliament, as the first parliament in the world, voted in favour of a report on the role of blockchain in international trade. The document emphasizes that blockchain can potentially save up to 20 percent of the total costs of international transport, saving up to $ 1 trillion in world trade costs per year. At the same time, the Parliament urged the Member States and other institutions to promote blockchain technology, which could contribute to improving national customs procedures, reducing the administrative burden related to documentation and reducing international trade costs for European enterprises. Although there are considerable obstacles to the full implementation of this technology, both at technical and regulatory level, there is no doubt that it is worthwhile to take a closer look at this technology and its benefits, because it can define international business relations for decades. What is blockchain and how is it related to international trade? Blockchain, or the so-called distributed ledgers, was described by a well-known business magazine “The Economist” as “a modern machine of trust". In a nutshell, something coded in blockchain once remains there for eternity, and the ledger cannot be removed or forged. All this is possible due to the fact that this technology saves the same information to all system participants. In addition, each change is approved in accordance with specific rules, which must correspond to the code of other ledgers. Therefore, you cannot forge information by breaking into only one element of the system. Because of this they can be instantly replayed. This way of saving data is the highest guarantee of security - on the one hand, blockchain enables confidentiality of entries, and on the other, their disclosure. What are the benefits for exporting companies? The current global trade has not changed practically since the appearance of transport containers in the 1950s. The goods are still transported by sea or land in the same way as in the previous century. Without a doubt, one of the areas that needs a technological revolution is the amount of paperwork and the growing level of bureaucracy generated by cross-border trade. From the rules of origin to product quality documentation - trade generates stacks of, frequently unnecessary, documents. Moreover, exporters often have to wait for payments for their products even up to several months, and the complexity of trade agreements makes it necessary to hire financiers, signatories and lawyers by companies operating cross-border. Furthermore, the level of complexity of current global chains means that suppliers are unable to identify a defective part or eliminate defects. Hence, more and more companies believe that blockchain technology could help solve some of the existing problems, at the same time accelerating trade and improving its safety. From the beginning, blockchain's main advantage was the possibility of getting rid of intermediaries between the various operations carried out in companies. This is especially important for entrepreneurs operating in many countries, because the costs of intermediary, clearing houses or document store databases can be replaced by projects based on the principle of mutual exchange and blockchain technology. Thus, the trust entrusted so far in brokers and financial institutions will be taken over by cryptography and direct business contacts. What is more, blockchain made it possible to significantly shorten the time of operations from several days to even a few seconds, through registrations, certifications and good tracking along the value chain within the blockchain. If the national customs authorities were involved in this technology, exporters could enter all their documents into public systems and immediately obtain confirmation that they are given preferential treatment under the free trade agreement. It will also provide better information for authorities to analyse and focus on risky transactions. A lot of time and effort would be spared in the entire supply chain by all parties that would not have to copy information and hand it over to trading authorities or partners. Another issue is security. In our time, when many physical products have been digitized and processes are replicated in the digital layer, cyber security has become crucial for businesses, governments and consumers. The decentralized nature of blockchain, allowing joint supervision, unchangeable records and verifiable transaction history, would improve security in the supply chain, for example by reducing the risk of fraud and error. An important element of blockchain is also constituted by “smart contracts” that allow us to configure the system to automatically perform tasks such as transfers or sending a document, initiated by a specific date or receipt of a specific document. So far, only a small number of international corporations are using or planning to use blockchain technology. However, the lack of paper contracts, reducing the risk of cyber-attacks or shortening waiting times for payments between business partners should particularly interest small and medium-sized companies. Blockchain can create major economic opportunities for small and medium-sized enterprises in terms of internationalization, facilitating communication with consumers, customs authorities and other companies involved in the supply chain. Currently, almost every second small and medium-sized company has problems with obtaining permission to finance trade through financial institutions, as compared to only one out of ten applications submitted by international corporations. Only a small part of international commercial transactions are payable in advance, because buyers usually want to pay after they receive their goods, which means that SMEs are always in an uncertain financial situation. As the borrowers' capacity to access trade financing depends on their balance of payments and certainty with respect to the enforceability of contracts, this often limits their ability to submit a loan application. Blockchain has the potential to eliminate the absence of financing for small and medium-sized companies. Ultimately, consumers are becoming increasingly interested in the origin of products they buy (food, clothing or consumer goods) for ethical or quality reasons. It is expected that blockchain will provide proof of product integrity in increasingly complex supply chains. Small and medium-sized enterprises will be able to use this trend to find purchasers of their goods that meet their ethical expectations, thus gaining a marketing advantage. What are the risks of blockchain technology? There is no doubt that blockchain technology can bring significant benefits to companies present on international markets. However, as with any new revolutionary technology, there are also many potential risks and side effects. Blockchain in its present form is extremely energy-intensive – it is estimated that one bitcoin transaction consumes as much energy as a statistical household in a month. It is also still a relatively slow system – authorization of one transaction lasts as much as the authorization of 8 thousand credit card transfers. In addition, adding new elements to a block increases its size. This in turn requires more and more space on computer disks. Furthermore, this technology is still in its infancy, and the number of users is growing quite slowly. For the blockchain technology to be fully operational, it would have to cover all participants in the supply chain from the supplier of the goods to their final consumer, as well as the customs authorities in the state of transhipment and transit. In case of certain industries (e.g. clothing, electronics), goods can undergo various transformations, and the final product can be composed of materials or components from dozens of different suppliers from many countries, each with its own supply chain. Consequently, there would have to be an overwhelming incentive to encourage all parties to get involved, and each node in the supply chain would have to have its own IT potential and access to the Internet. It also means that a sufficient number of players would not only have to adopt the technology, but also learn how to use it. Additionally, transparency of the system may turn out to be a double-edged sword. Due to blockchain access to information is widely available - for auditors, the public, and even for other parts of the supply chain, which is not exactly an attractive prospect for many companies. Such transparency can have other dangerous effects: let's imagine that consumers find out that a luxury brand makes clothing in the same factory and from the same materials as a cheap, popular company. Lastly, the decentralized and cross-border aspect of this technology creates a number of jurisdictional issues, such as a decision which courts would exercise authority over the disputes. There are also legal responsibility issues. Finally, the use of blockchain will have to comply with data protection rules regulating the location and cross-border transmission of data. In cross-border trade, there has always been a low level of innovation. It was traditionally a manual process and it generated a lot of documents. Blockchain is undoubtedly one of the most innovative solutions of our times, which in the coming years may attract trillion benefits to enterprises and reverse the current conservative system. It can increase transparency in the entire supply chain, improve customs controls and ensure compliance with laws, reduce transaction costs and strengthen data security. Therefore, it comes as no surprise that a growing number of companies has begun to investigate the use of blockchain technology in cross-border transactions. Although at this stage it is difficult to assess to what extent blockchain technology will affect the total trade costs, the preliminary data indicates that it will have a significant positive impact. Initial estimates of total cost reductions in the financial and maritime sectors range from 15 to 30 percent. According to the World Economic Forum, the elimination of administrative barriers related to Blockchain may result in an increase in trade of more than $ 1 trillion over the next decade! However, much time will have to pass until blockchain technology becomes widely used by all sides of global value chains. The recently voted European Parliament report on blockchain or the European Commission initiative to set up the EU Blockchain Observatory and Forum, as well as the decision to increase the EU budget for projects using blockchain to EUR 340 million by 2020, are all proofs that the Union is taking this issue very seriously. If national governments join these initiatives, there is a good chance that standards and rules that govern this technology will be created in Europe. Nevertheless, it is difficult to predict where the blockchain will ultimately lead us. Will we witness a complete transition to this technology in the near future? Probably not. A hybrid approach in which scattered books complement the existing systems is most likely.